But Karl Marx, whom Alex Knight recently described here as the “most evil” person ever to live, said the opposite; he proposed that labor can be valued objectively, that it has a fixed value regardless of market conditions and that such value attaches to the person laboring. On the principle that it's always a good idea to “know one's enemy,” it's worth examining his view. Even if the idea of a fixed reward for a fixed amount of labor were modified so as to decree higher rates for specialists than laborers (e.g., neurosurgeons might get triple the basic rate), each of them would have to be prepared by experts and imposed by force of law. Deviants and cheats who contrived to pay more (or less) than the prescribed rate would have to be chastised. Marx saw all that, and his manifesto provided for it; the population was even to be “redistributed” so as to make labor resources available where the experts decided it was needed. Ultimately, if labor has a fixed value, its use must be micromanaged by a governing elite; work must be compulsory and it must be performed where directed. It leads us straight in to a Brave New World. And to help reach that utopia of fixed rates, in the meantime earnings were to be taxed “progressively,” meaning that the more you earn, the greater the rate of tax, not just the sum due. Quite deliberately, those paid over the approved sum were to be penalized. The US Congress continues to follow his advice. The President this winter repeatedly said that the rich “can afford a little more,” as if they were not already being selectively punished for succeeding in this country. Marx is alive and well in Washington, D.C.
Hegel's ideal is a transfer of worship from God to the State, and Marx swallowed it whole. As Rothbard rightly perceived, that's a true and passionate religious devotion. The sentiment – the primacy of the state over its subjects – is now found everywhere. In this country, for example, we hear chanted, “I pledge allegiance to the Flag of the United States of America, and to the Republic for which it stands . 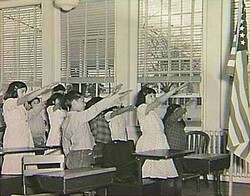 . . .” though the associated Bellamy salute has been modified to bring the right hand down to cover the heart. I wonder why. Next time you hear the Pledge recited, do remember Hegel. And Marx, Hitler et al. 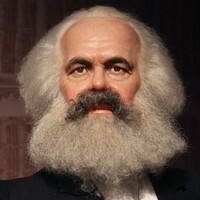 So when Marx decided labor had a fixed value and thus implied it should be directed, it was a simple step to blend that idea with his religious devotion to the supremacy of the community and conclude that property as well as labor belongs properly only to it, not to the individual; hence his aim to abolish private property and hold everything in common, i.e., “communism.” Murray Rothbard, in Requiem for Marx, has an extensive and amusing history of communism from its origins in the 1500s when certain “millennial anabaptists” of central Europe practiced common ownership in their communities for religious reasons (rather like the Pilgrims in their disastrous first year in the Commonwealth of Massachusetts) – and all of them foundered on two problems: (1) how to motivate anyone to perform work, since the products of labor went not to the laborer but to the common store, and (2) how to prevent the governing elite – needed to overcome that problem by directing labor and allocating food – from living a life of unegalitarian luxury. Those were never solved in Münster then, nor later by Marx in theory, nor later yet in Moscow in practice. It's easy for us to recognize the evil in the Manifesto itself, how it proposed violating the Self Ownership Axiom all over the floor. But once you grant the premise that labor has a fixed, objective value, it makes sense. Market anarchists sometimes express our feelings about the State in fairly lurid terms – because we recognize it as The Enemy; Marx supposed someone else was in that position, and wrote accordingly. “Evil”? Yes, but not beyond understanding, once we see his root error. I really don't think Karl Heinrich got up in the morning, saw himself in the looking glass (he skipped shaving) and asked himself what new evil he could do that day. Like government employees who haven't yet read this, hethought he was doing good, striking blows for the downtrodden and exploited of the world like his disciple Karl Radek several decades later. He didn't have horns growing out of his head; he just got his premise wrong. Did he even know of the axiom? I'm not sure. Carl Menger was 22 years his junior, so the Austrian economic understanding would appear only after Marx had nailed his colors to the mast, as it were; if encountering them after gaining fame as a communist, very likely he would brush them aside, for nobody likes his premises disturbed. Marx lived in London after 1849, and so was right in the prime workshop of classical liberalism; one may fairly wonder if he could really have failed to notice something of its underlying philosophy and the dramatic way it was lifting people out of poverty. In the very next year, Bastiat, in Paris, wrote his The Law, and surely a self-professed economist and philosopher – who had also lived in Paris four years previously – would not neglect to study it. Did he even read Adam Smith? If he did so fail, or if he read such and rejected them, then--if not sooner--we can start to blame him. It's often and rightly said that ideas have consequences, and that works both ways. Marx's erroneous idea that labor value is objective led, ultimately, to the massive worldwide slaughter cataloged in The Black Book of Communism, plus all the misery and deprivation – of working class people more than most – that sprang from the tight control of the Soviet state. Some have described Marx as an “idiot” more than “evil,” but what's for sure is that he got his premise wrong. So do government people of every flavor. Premises matter.